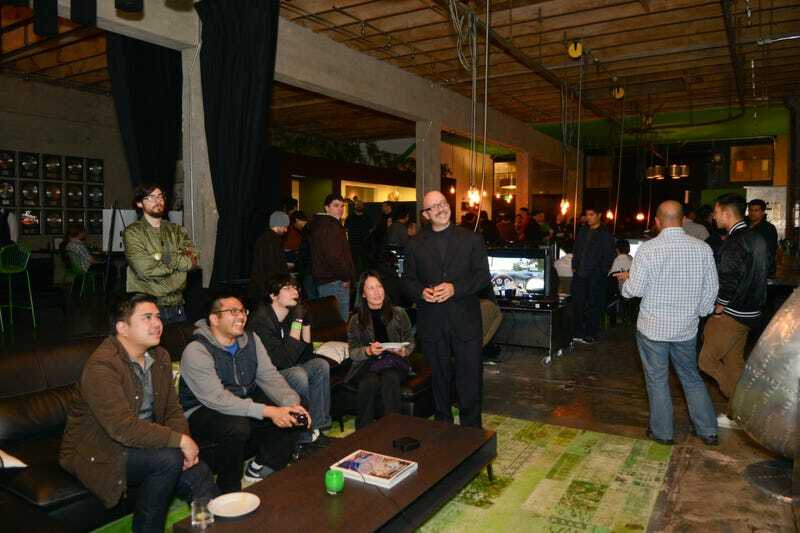 This past Saturday, Microsoft was kind enough to host Jalopnik and Kotaku readers at the brand new Xbox One Loft in San Francisco for a sneak peek at the soon-to-be released Xbox One & Forza Motorsport 5. Beverages were consumed in earnest, prizes were ceremoniously distributed, time trial records were set and 100+ readers got to mingle in an environment that doesn't require a Kinja login. When capacity became slightly problematic (who knew everyone who RSVPed would actually show?! ), Jalopnik invaded the bar across the street and picked up the tab over there as well. Double meet up? Double meet up. Thanks to the Microsoft & Forza teams, the good folks here at Studio@Gawker who throw parties for a living, and Kendall Laine Brobst for snapping pics all night long. Oh, and of course: you, the readers. Without you, meet ups would be very lonely, sad affairs. Until next time!